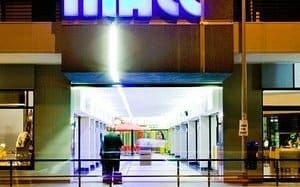 Carl List Mall lies in the centre of Windhoek with a selected range of premium boutique shops, offering Namibian hand-crafted products as well as international brands. Our shops are from jewellery to leather wear, travel accessories, flowers and ‘furry’ clothing. 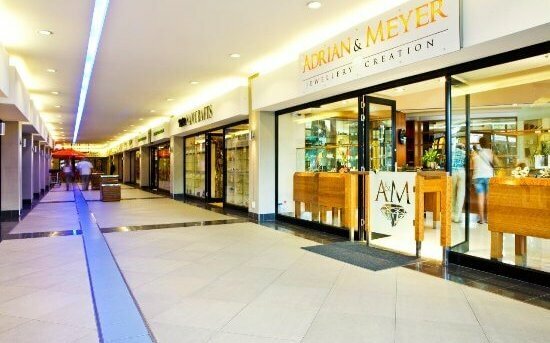 Adrian & Meyer is Windhoek’s premier award winning jewellery designer and manufacturer, specialising in diamonds and gemstones. They also sell the finest Swiss watches such as Rolex, Tag Heuer and Tissot. Leder Chic offers a beautiful collection of African leather products, if its for travelling or business. Their products are from kudu, ostrich, buffalo, springbok and crocodile. We have the Casa de Cambio Forex Bureau which includes money transfers, cash exchange and facilities of Visa and MasterCard’s acceptance. And also the Cambio Seguro for competive exchange rates and affordable money sending services. The CSquared shop offers the best menswear, Polo ladies and men plus exclusive fashion brands and accessories for weddings and other special funcitons. Our Blumenecke has beautiful fresh flowers that brighten your day. They are professionally and beautifully arranged into bouquets and décor as requested. For all your eye-care, please visit Hasselt Optics, with the modern frames,fashion and lens technology. Katharina Karl has been a family tradition and sell handcrafted garments, handbags and accessories in the finest selected leathers and furs. 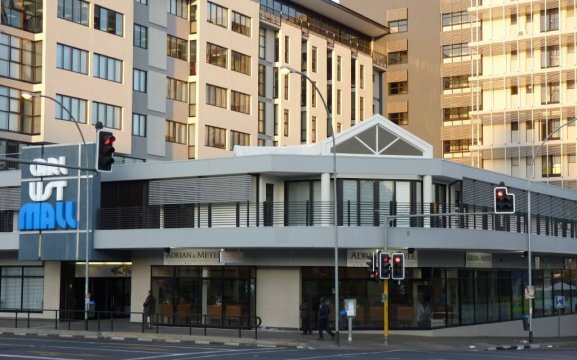 Eat@ is a self-service restaurant known for its home cooked meals, freshly baked cakes, quiches and pastries. Here you dish, weigh and pay. 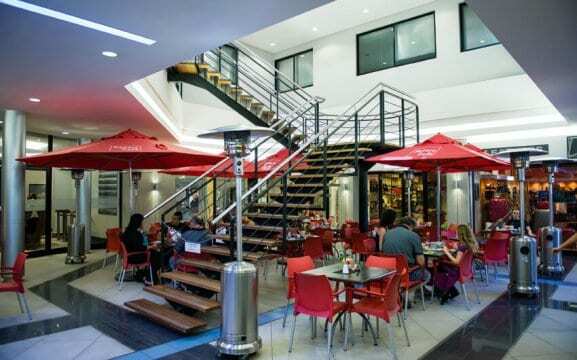 Red Square Café caters for those on-the-go with sweet or savoury bites or platters on request.